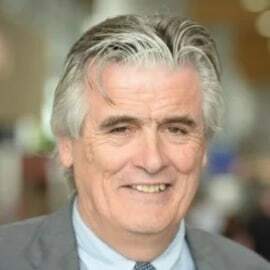 Pat Byrne founded CityJet in 1993, after a successful career in the financial services sector. He established the airline to pioneer service from Dublin to the new airport in London City. CityJet was sold to Air France in 2000, with Pat remaining as a non-executive board member until its eventual sale to Intro Aviation in 2014. In February 2015, Pat returned to Cityjet, and he led a consortium to purchase the airline with the express ambition to become the leading provider of long term wet lease capacity in Europe. In the two years since Pat took up the leadership role at Cityjet, the airline has grown from a fleet of 17 Avro RJ 85’s to a total fleet of 44 aircraft across three types including the Bombardier CRJ 900 and the Superjet SSJ 100. The airline has also transitioned from 40% wet lease and 60% own risk scheduled operations to 80% wet lease activity and 20% own risk scheduled services. Over the past 18 months Cityjet management has overseen the winning of an extensive wet lease contract with SAS, acquired the SAS subsidiary Blue1, taken delivery of 12 new CRJ 900s from Bombardier (for the SAS programme). In January 2017, Cityjet acquired the SAS Danish subsidiary, Cimber who operate a fleet of 11 CRJ 900’s on wet lease to SAS. Cityjet has placed an order for up to 10 additional new Bombardier CRJ 900’s which will largely replace the Cimber fleet over the next 12 months. The current size of the fleet Cityjet now has in Scandinavia for its wet lease contrcat with SAS is 23 aircraft increasing to 25 by year end. In March, Cityjet commenced  a wet lease contract with the Lufthansa subsidiary, Brussels Airlines utilizing 3 Superjet SSJ 100’s initially and potentially increasing to 4 units by October. In April, Cityjet signed a wet lease contrcat with KLM Cityhopper to provide wet lease operations on RJ 85’s out of Amsterdam. Cityjet is now well placed to pursue its stated ambition of turning the airline into a leading niche operator in Europe in the provision of wet lease capacity to operate extensive route networks for major carriers.